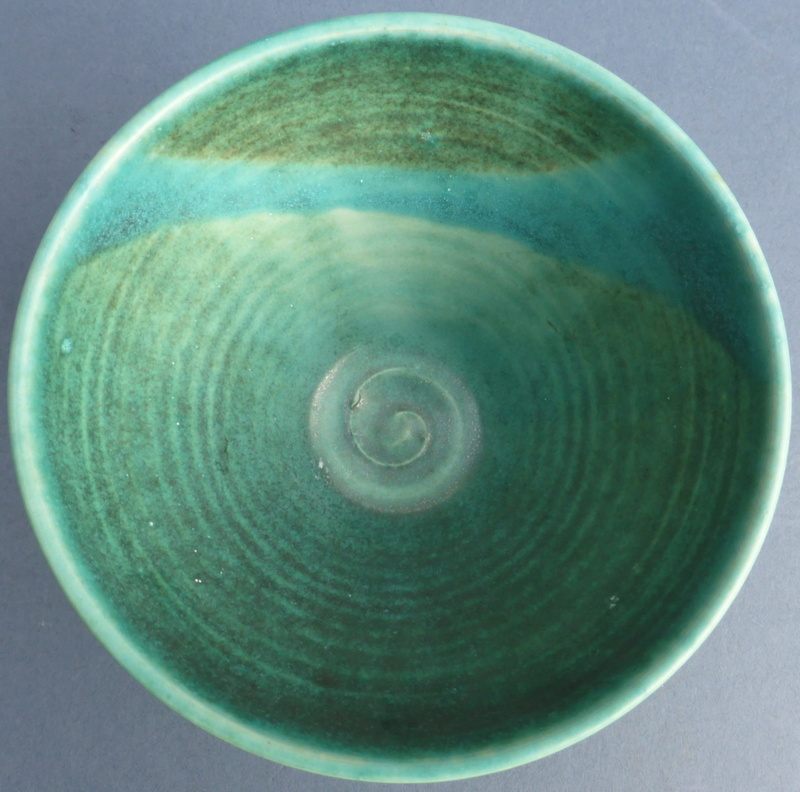 Turquoise Studio Bowl - Any Ideas? 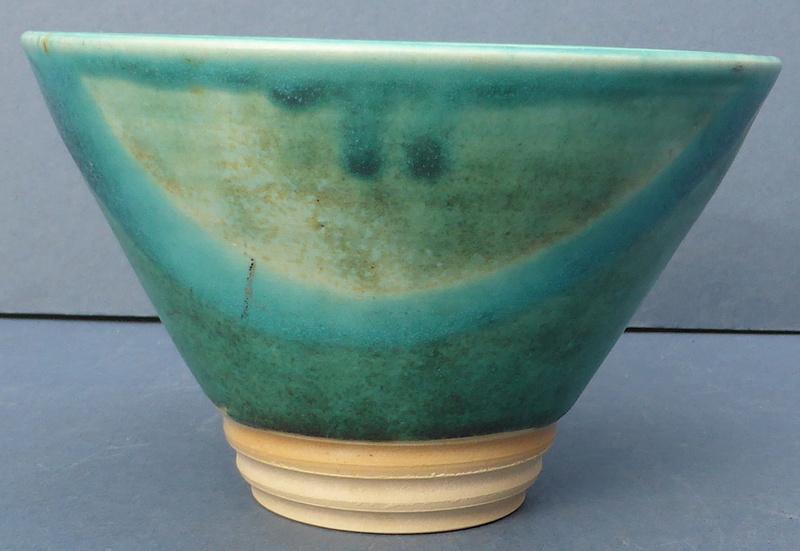 Hello, I bought this nice little bowl at a boot sale at the weekend. 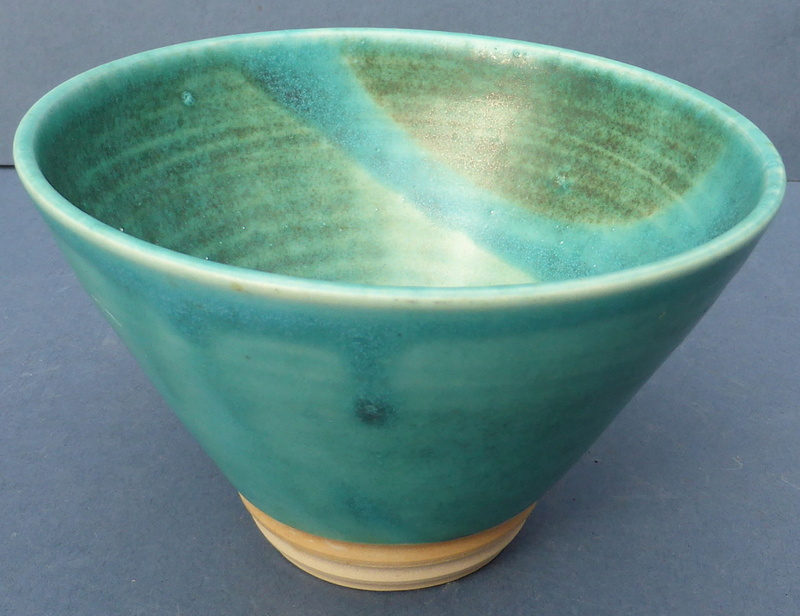 It is nicely potted and has a lovely, silky semi-matte glaze. It stands 3" tall. 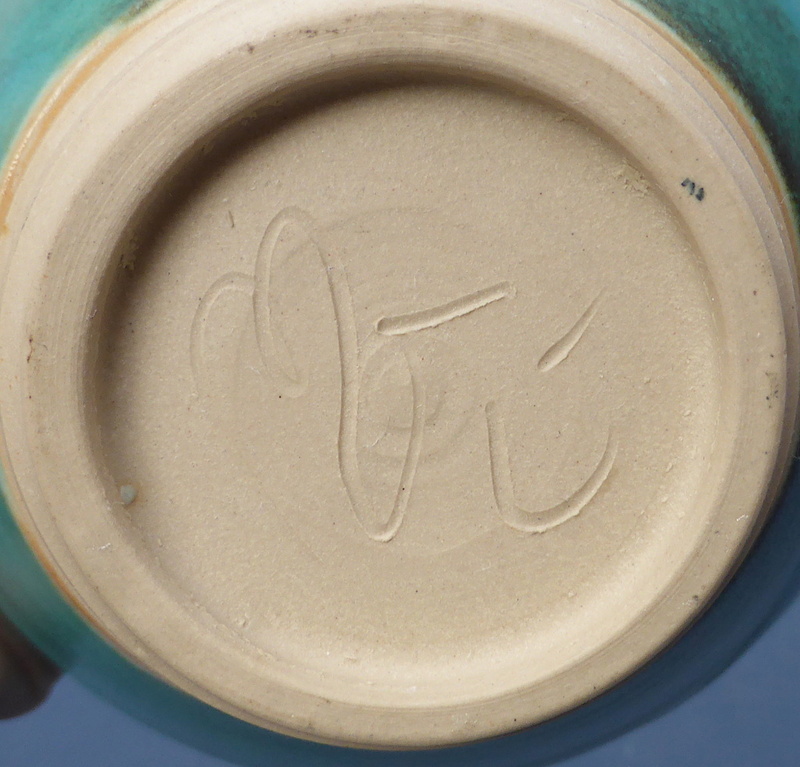 There is an incised mark to the base - possibly ME or something followed by a W - I'm not sure. Anyone got any idea who might have made it?